Never heard of a rutabaga before? 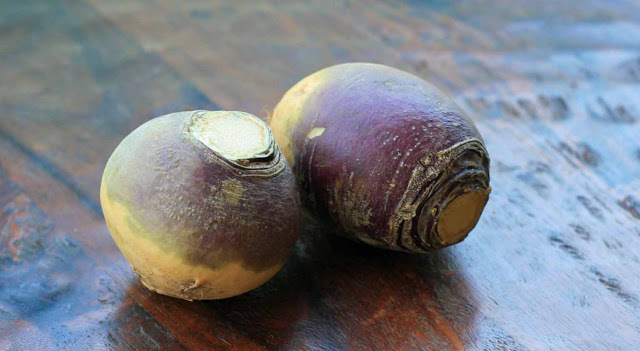 Perhaps you know it by one its other names: Swedish turnip, swede, or yellow turnip? But considering the fact that the guy at the supermarket checkout line had to ask me three times what it was, I’m guessing that it’s not really that big of a seller. That’s a shame because it’s actually one tasty root vegetable. As it turns out, it originated from a cross between turnip and cabbage. Not a crossbreed I would ever have thought of, but I guess that’s why I’m not a botanist. I’m a couple weeks too late, but this rutabaga bake, made with mashed rutabaga, cream, bread crumbs and seasoned with a hint of nutmeg, is an old, traditional Finnish Christmas dish. The rutabaga is inherently sweet, but if you’d like to dial it up a bit (a la the Sweet Potato Casserole), feel free to add a teaspoon or so of sugar. Place the diced rutabaga in a large saucepan and cover with water. Bring to a boil and then reduce heat and simmer until tender, about 20 minutes. Drain and mash. Set aside to cool slightly. Preheat the oven to 350 degrees. Grease an ovenproof dish with butter. 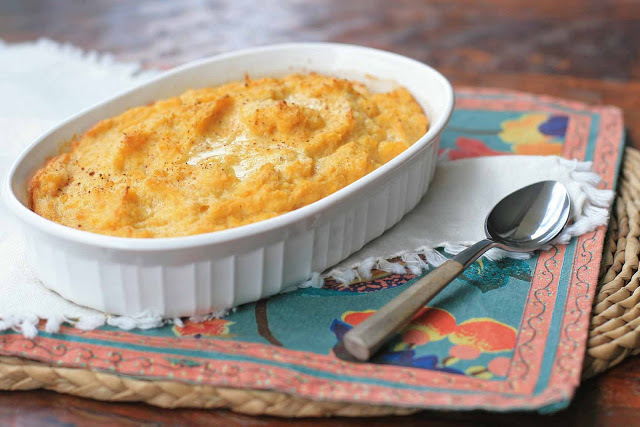 Add 2 Tablespoons of the butter, the cream, breadcrumbs, salt, nutmeg and eggs to the rutabaga and stir to mix. Pour into the prepared dish and dot the surface with pats of the remaining butter. Bake for 45 minutes or until the top has lightly browned.